Extended sanctions a response to Iran’s ‘serious human rights violations’. On 9 April, the Council of the European Union extended restrictive measures against Iran on account of ‘serious human rights violations’. The sanctions are extended for a year and include travel bans, asset freezes, and a ban on exports to Iran of equipment which might be used for internal repression, and of equipment for monitoring telecommunications. 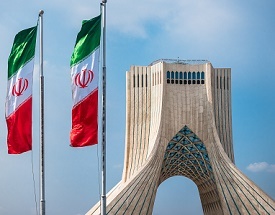 The Council describes the measures as ‘part of an integrated policy approach combining pressure and engagement’ in efforts to persuade the Iranian government to comply with its international obligations.